I feel like everyone I know has at least one piece of that cheap, blonde, plastic-y wood. You know, the kind that was popular in the 90’s? It is technically real wood, but the little-to-no grain is not pretty, and the color (or lack thereof) is rather dated. Real wood? Great. Worth stripping and refinishing? Nope. 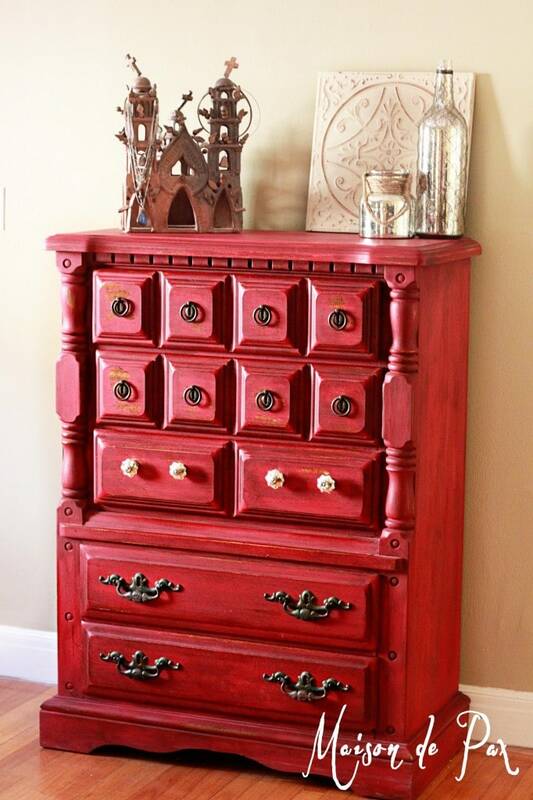 Here’s the perfect solution – a painted finish that shows off the real wood without revealing its lack of character. 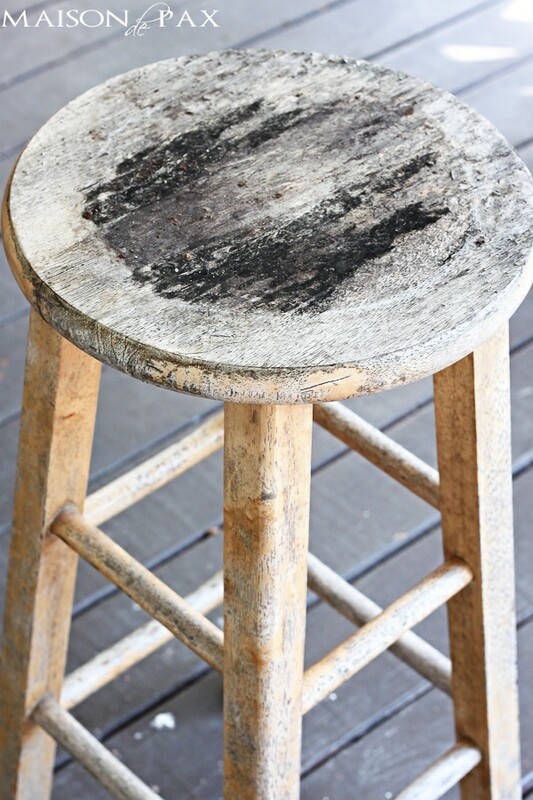 This stool was rough to start. I. mean. rough. We’d been using it outside as a plant stand, and the poly (or whatever sealed its original finish) was flaking off like bad dandruff. The wood revealed underneath wasn’t much better. 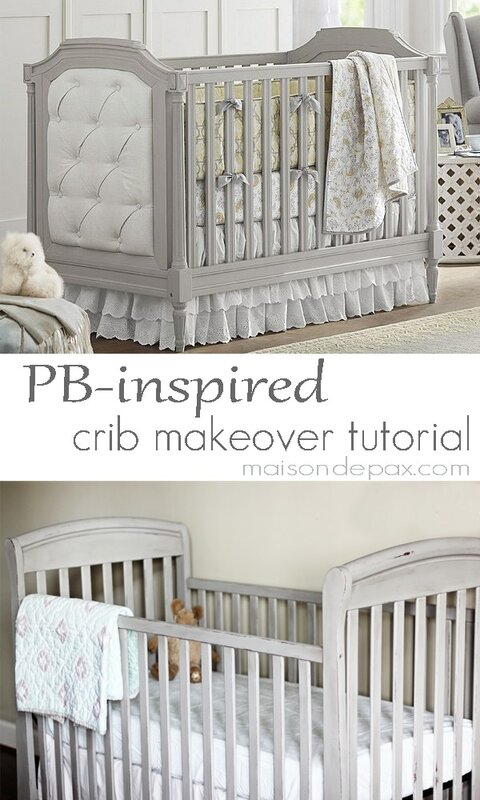 But in 6 simple steps, my family and I (don’t you just love family reno projects?!) 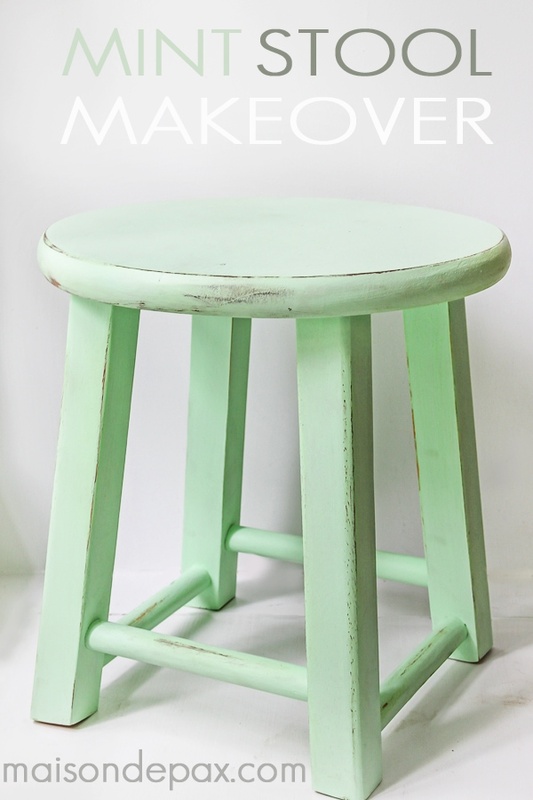 transformed it into an adorable and functional little stool. Ok, I might have helped a bit with the painting and waxing. 😉 But seriously, this was a family affair, and I love the result. 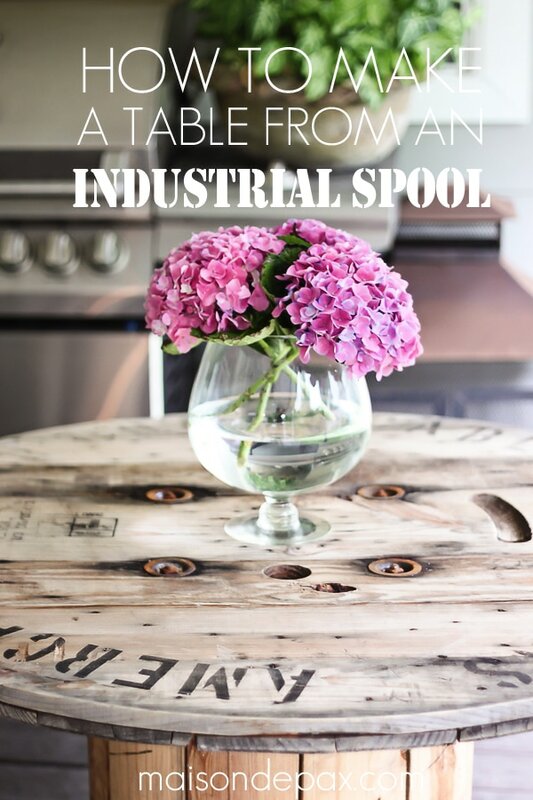 You’ll notice in the image above that the stain did not penetrate the entire piece. That’s ok. It’s much more work to remove the entire original finish, and completely unnecessary in this case. 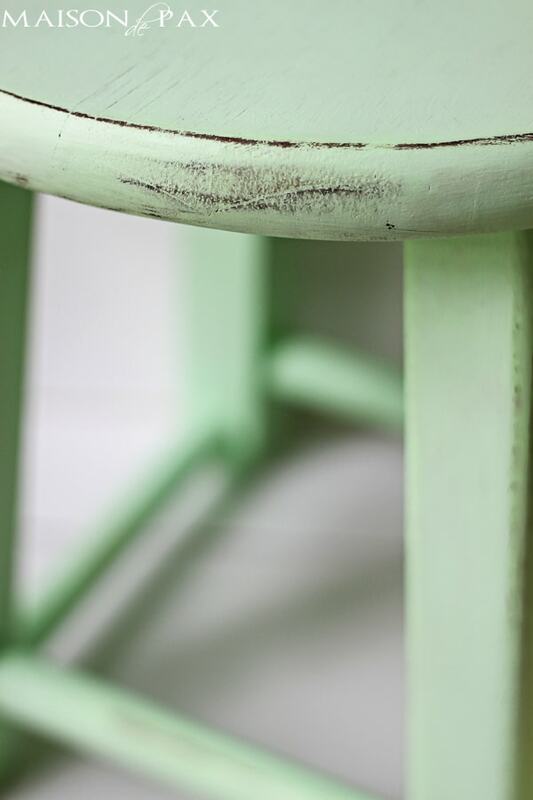 As long as some of the wood has been stained darker, it can provide a contrast when the paint is distressed. 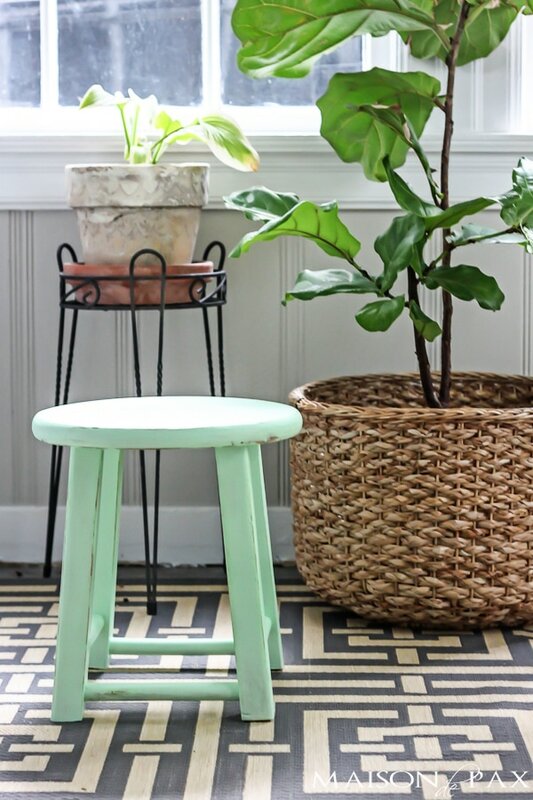 The little stool will reside in our new laundry room, alongside some of our indoor plants. The laundry room is still a work in progress… In fact, you can see it and the kitchen in all its glory here (including the pink floor tiles and the 5’x6′ hole in our kitchen ceiling). I’m keeping it real here, people. 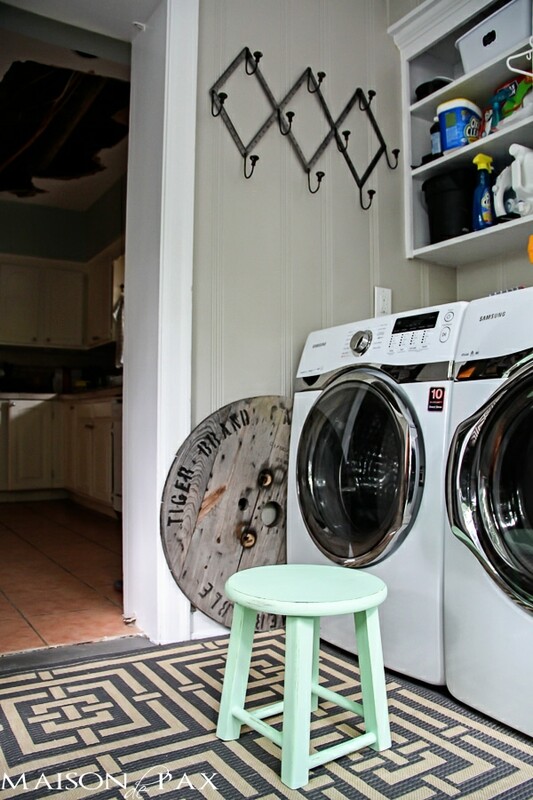 There is also a gorgeous spool top stuck beside our washer… Stay tuned for that project! But I digress. 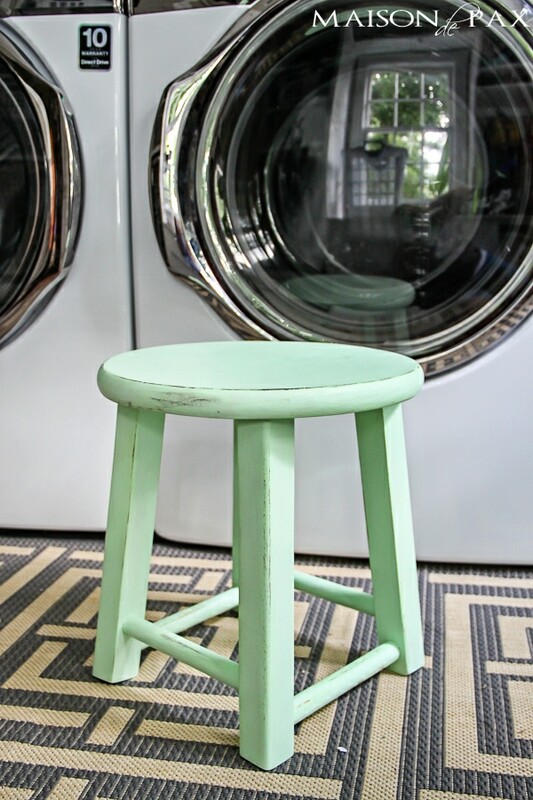 This little stool will be perfect for reaching those tall shelves and giving my knees a break when transferring wet clothes to the dryer. 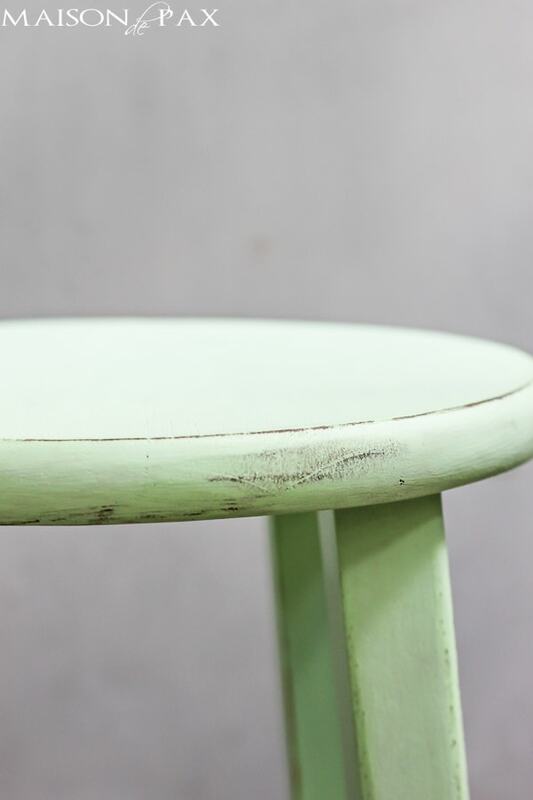 I love the soothing mint color amongst all the neutrals, and the fact that we saved this ugly now adorable little mint stool from the trash as a family makes me pleased as punch. What was your last family project? Disclaimer: As a part of the Country Chic Paint blogger squad, I do receive compensation in the form of goods and products from Country Chic Paint, but, as always, all opinions are 100% my own! This is a beautiful color, good job. Brilliant idea and it looks great. 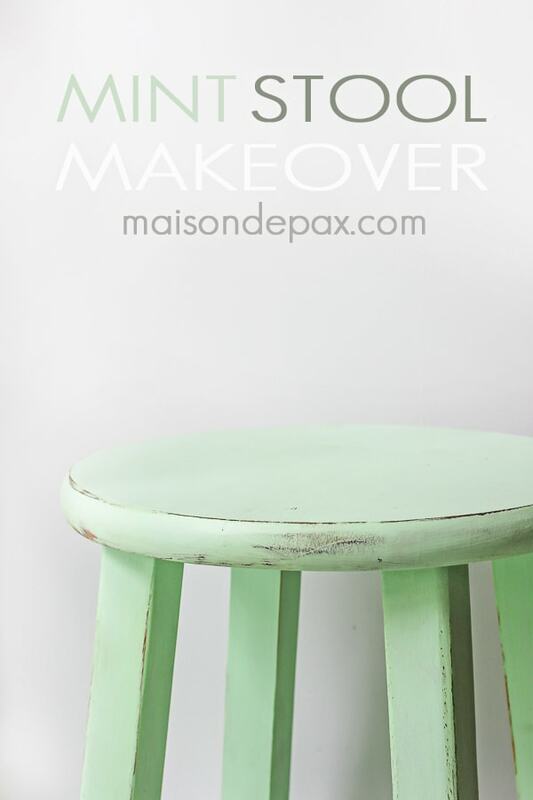 It is such a cute stool and a nice color.